Say some maniacal world leader finally hits the big red button. Or maybe a terrorist takes out the local nuclear reactor. You survive the initial attack, and you're left to endure a world poisoned by nuclear radiation. How's that gonna feel? When nuclear reactions get going, they spit out particles with enough energy to rip electrons off of atoms or molecules. The altered bonds produce ion pairs that are extremely chemically reactive. This is known as ionizing radiation, and it's where the problems start. There are many types of ionizing radiation. Take your pick from cosmic, alpha, beta, gamma or X- rays, neutrons, or from a handful more. What really matters is how much an organism is exposed to—a concept called absorbed dose. One way to measure absorbed dose is in units of Grays (Gy). Another common unit is the sievert (Sv), which takes the Gy measure and multiples it by the type of radiation to calculate the effective dose in living tissue. The average radiation exposure during a couple of seconds of an abdominal X-ray is 0.0014 Gy—it's a light dose, and it's locally administered, so it's not that bad. When you really get into trouble is with whole-body exposure, like, say, in the Chernobyl control room immediately after the explosion. There, you would soaked up 300 Sv per hour. But you wouldn't last an hour. The dose would be lethal in just 1-2 minutes. Large doses of ionizing radiation in a short time period lead to Acute Radiation Syndrome (ARS), aka radiation poisoning. The severity of ARS symptoms depends on the level of exposure. A radiation dose as low as 0.35 Gy could feel a bit like you have the flu—expect nausea and vomiting, headaches, fatigue, and fever. If the body is exposed to a higher dose, somewhere between 1-4 Gy, blood cells begin to die. You could still recover—treatment of this kind of radiation syndrome usually involves blood transfusions and antibiotics—but you could also suffer a weakened immune response due to a drop in white cell count, uncontrollable bleeding due to a lack of platelets, and anemia due to a reduction of red blood cells. You'll also notice a kind of odd sunburn if exposed to 2 Gy or more of ionizing radiation. Technically referred to as acute radiodermatitis, its effects include red patches, peeling skin, and sometimes blistering. Expect it to show up within 24 hours. Between 4 and 8 Gy, however, a dose can be fatal—but the route to death still varies on the level of the exposure. Patients at this level suffer vomiting, diarrhea, dizziness, and fever. Without treatment, you could die just a few weeks after exposure. The physicist Louis Slotin, who died of ARS during his 1946 research on the Manhattan Project, was exposed to a radiation dosage estimated to be just over 10 Gy of gamma and x-ray radiation. He wouldn't survive today, even with modern treatments like bone marrow transplants. Patients exposed to radiation between 8 to 30 Gy experience nausea and severe diarrhea within an hour, and they die between 2 days and 2 weeks after exposure. Absorbed doses greater than 30 Gy cause neurological damage. Within minutes, patients experience severe vomiting and diarrhea, dizziness, headaches, and unconsciousness. Seizures and tremors are common, as is ataxia, or the loss of control of voluntary muscle function. Death within 48 hours is inevitable. Just because you dodge ARS following a nuclear blast or meltdown doesn't mean you get to enjoy a happy ending. 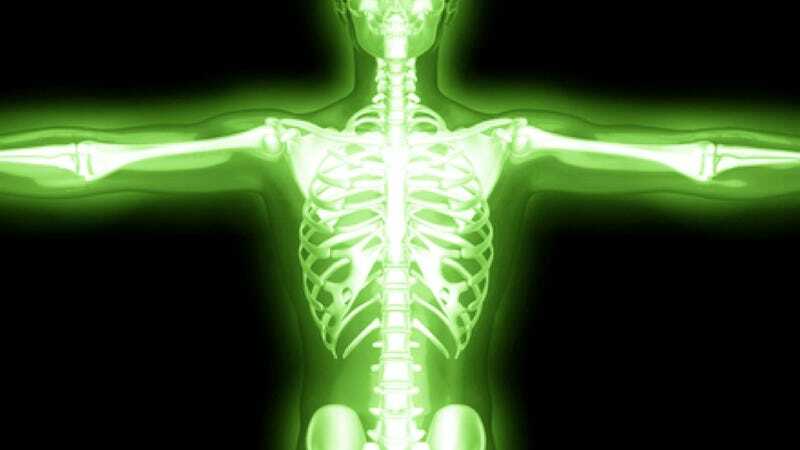 Long-term exposure to ionizing radiation, even at doses too low to produce any symptoms of radiation sickness, can induce genetic mutations and cancer. This is the biggest risk facing survivors of the Fukushima disaster—the accident emitted a fraction of the radioactive material released at Chernobyl. But the most recent estimates predict the fallout may still cause more than a thousand deaths from cancer. Normally, cells are controlled by the chemical structure of DNA molecules. But when radiation deposits enough energy to disrupt molecular bonds, strands of DNA are broken. While most repair properly, around a quarter don't—and so begins a long, slow process which results in an increased rate of mutations in future generations of cells. The probability of cancer increases with effective radiation dose—but, cruelly, the severity of the cancer is independent of the dose. Exposure is what counts, and it doesn't matter if the radiation level was high or low. With long-term exposure, models predicting the level of risk remain controversial. In fact, the most widely-accepted model suggests that, in terms of affecting most people, low-level background radiation is the most hazardous source of radiation. So while ARS may be a horrible way to go, it's the slow burn that ought worry you most.